Show your business who's boss! Helping online business owners avoid shiny objects and rabbit holes, one goal at a time. You're following project trails across your desktop. Trying to keep up with 1,584 different marketing tasks that got dropped in Asana in no particular order. And ghosting launch milestones because clients come first, right? If you're going to stop working IN your business and start working ON it, you know you need to focus on the daily tasks that help you accomplish your bigger goals. But one hour tasks turn into ten hour tasks because you missed a step and had to start over. Tinkering with tech leads to trash-talking your computer. And you struggle to stick to the plan, because you have no clue what steps, systems, and software will get you to that elusive next level in your business. You started a business for the freedom and flexibility. Not to turn into a crazy workaholic. You know there’s got to be a better way to achieve more without working more. And that’s why you’re here. Hi! I'm Megan, a Productivity and Systems Strategist for online business owners (and probably the only 5'11" girl to never play basketball). I don't do theory. I do how-to. From designing custom websites, to being a virtual assistant, to managing projects for six and seven-figure online business owners, I've never had more than two members on my team. I had no choice but to learn how to grow my business the fast and lean way. And now I'm sharing my strategies with you. No matter what stage you're at, I show you how to get your systems on YOUR side, so you can be a smooth business operator. I offer done-for-you planning tools, printable worksheets, customizable templates, tech tutorials, and DIY online courses for every stage of business growth. Plus 1:1 mentorship for business owners who need a higher level of support. "Megan is the kind of secret weapon you need in your business arsenal. She teaches you not only how to organize using various systems, but execute, and all with the bigger purpose of achieving your highest priority goals. Learning from her is like a non-stop series of "a-ha" moments!" Moving. I've moved 26x, but it's taught me to adapt faster than technology changes. Spoiling dogs. My Maltipoos, Honey and Peaches, literally live in my lap of luxury. Pizzatarianism. It's a legit lifestyle. Look it up. Getting red stains out of white blouses. No comment. 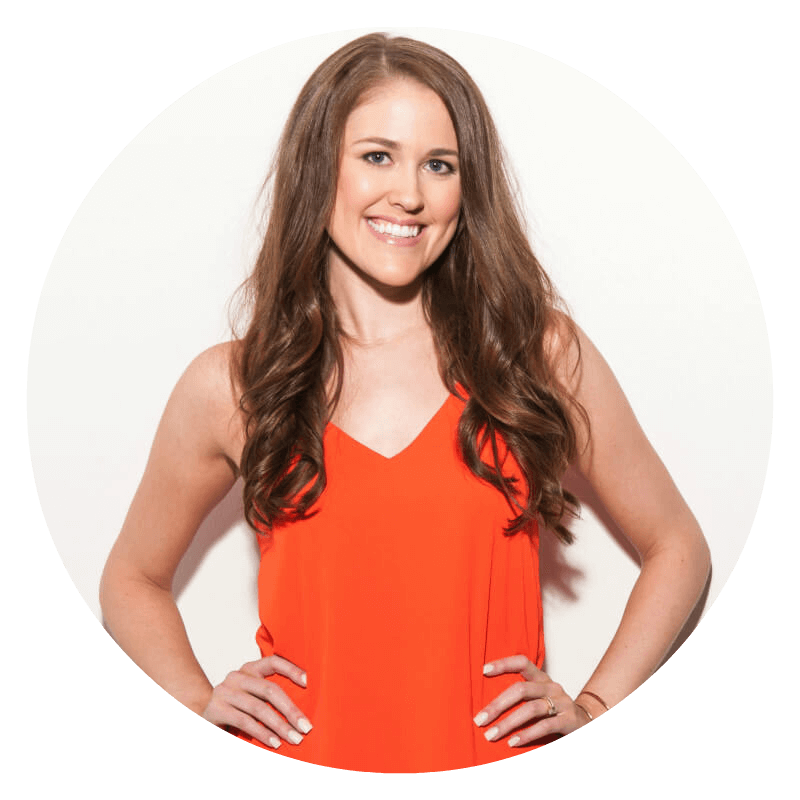 Megan Minns is a Productivity and Systems Strategist who helps online business owners streamline their systems, simplify their tech, and organize their business to get more done the lean way. Megan creates done-for-you tools and templates that free up your focus to do the work you love most and free up your time to spend with the people you love most. As a business owner who has also managed other six and seven-figure businesses, Megan knows how important it is to create workflows that work for you, so you can achieve your highest priority goals in less time. She’s also been featured in Inc., Business Insider, One Woman Shop, and She Did It Her Way.